Just like most people who surf the internet these days I have been consumed by Pinterest and the multitude of ideas available from easy crafts to full-on DIY home makeovers. I lean more toward the easy stuff that I can do between the little one’s naps and the carpool line. 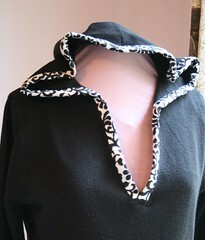 This is one of those projects and below is the photo I saw that gave me the idea in the first place. To be honest, I am not a big fan of tie dye and it brings back memories of high school, Lollapalooza in the early 1990’s and the weird ride that a lot of kids around me during that time wanted to take back to the 1960’s. I definitely wore tie dye clothes, many of which I dyed myself and even slept on a set of sheets I made in Home Ec my last year of high school. I guess it’s just a been there and done that type of look and I’m not interested in repeating it for myself. However, I am not opposed to hooking the Little Guy up with something different and fun (plus dirt hiding) whenever possible and I thought it might be fun to make him a green tie dye shirt to wear for St. Patty’s Day. It all started with a sale at Jo-Ann’s (don’t they all?) when I came across T-shirts and the dye at a discount. 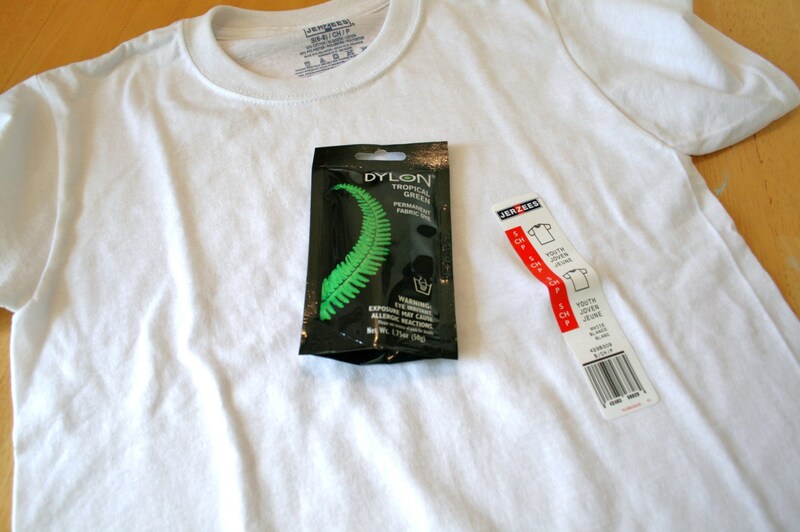 I decided to try out some Dylon dye this time around. I have only used Rit in the past and there were just so many types of dye to choose from at Jo-Ann’s that I felt like trying something new. I read through the instructions linked to the Mickey Mouse T above and then went from memory. Mistake numero uno! 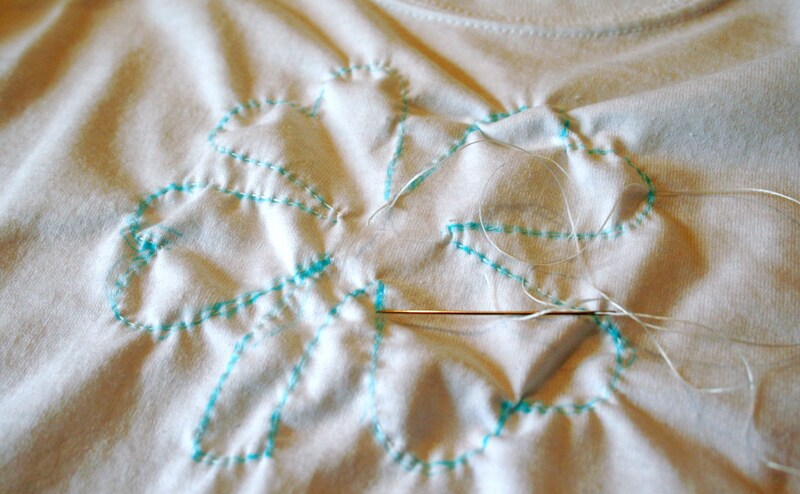 Using a Mark-B-Gone pen I drew a large shamrock across the chest of the shirt, then ran a simple stitch along that line using extra wide waxed beading thread. 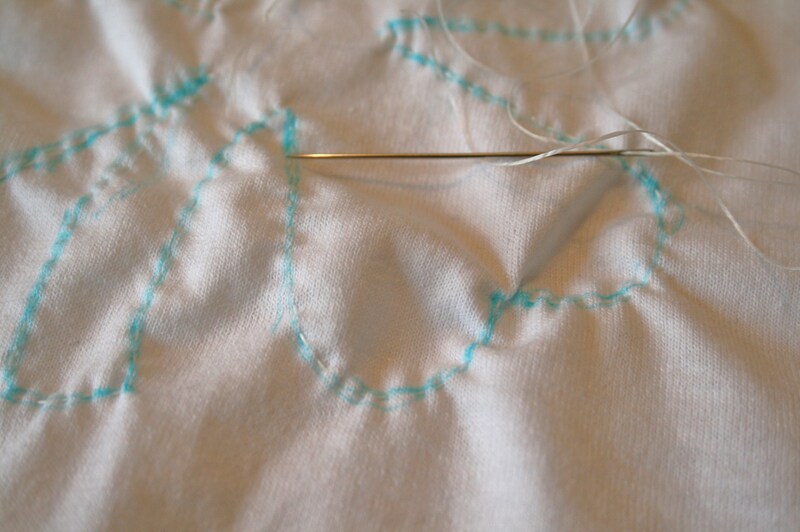 Then, as per the instructions, I gathered up the shamrock design and tied it off with the excess thread. Mistake numero dos! 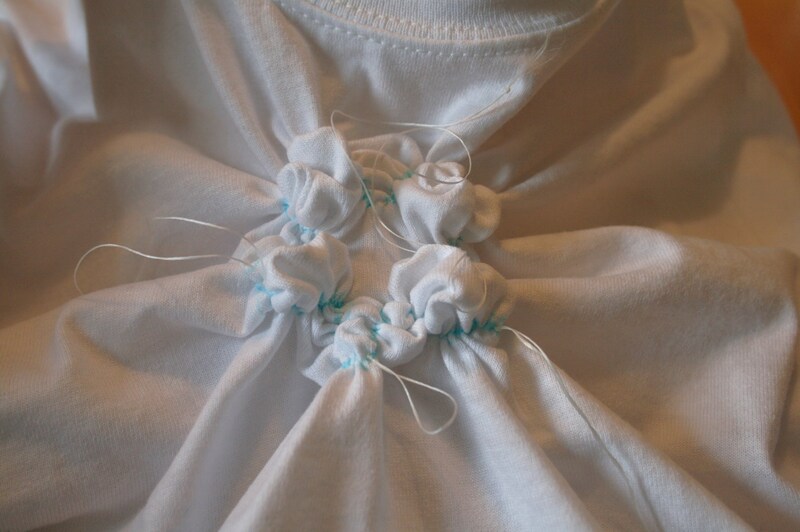 Next, I twirled and twisted the rest of the shirt, wrapping it with the thread and tying it off tightly. Mistake numero tres! 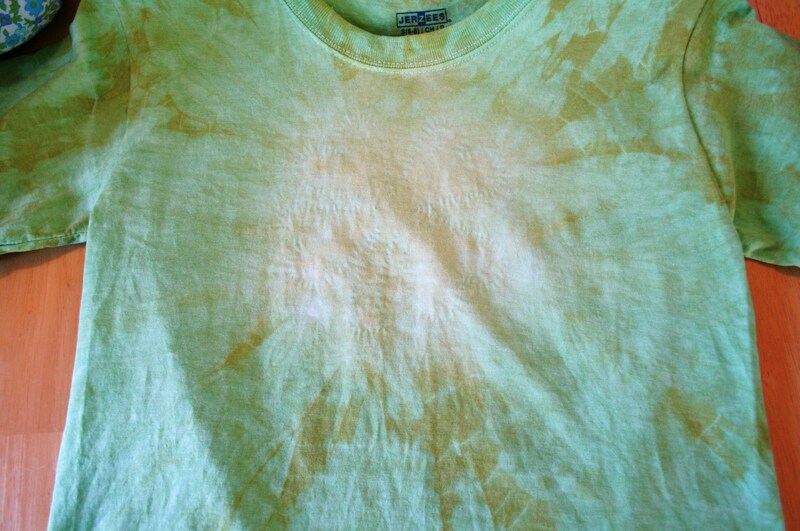 A very subtle tie dye shirt in very light green with weird brownish green areas. The color is really nothing like what was on the package and the area with the shamrock is pretty inconspicuous. Looking really closely, you can see a slight outline of the original shamrock shape, but it was not going to suffice for the big day. That is when I brought out the cheater…. 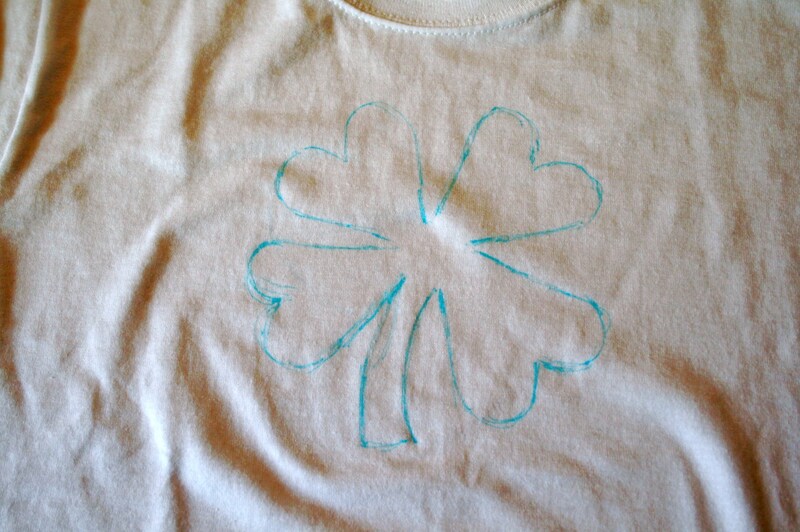 Yep, I used a green highlighter to draw trace the shamrock outline. It looked lame and the shirt was enormous on my Little Guy. In fact, after pulling it over his head….and down to his knees…he asked to wear a different green shirt for the preschool St. Patty’s Day celebration. I eagerly obliged since I did not want this failure of a shirt to end up being the reason he fell and busted his teeth out during play time. You win some, you lose some. After my disaster, I reread the instructions and realized all of my mistakes. I should have used rubber bands to get a much more secure area around the shamrock design. 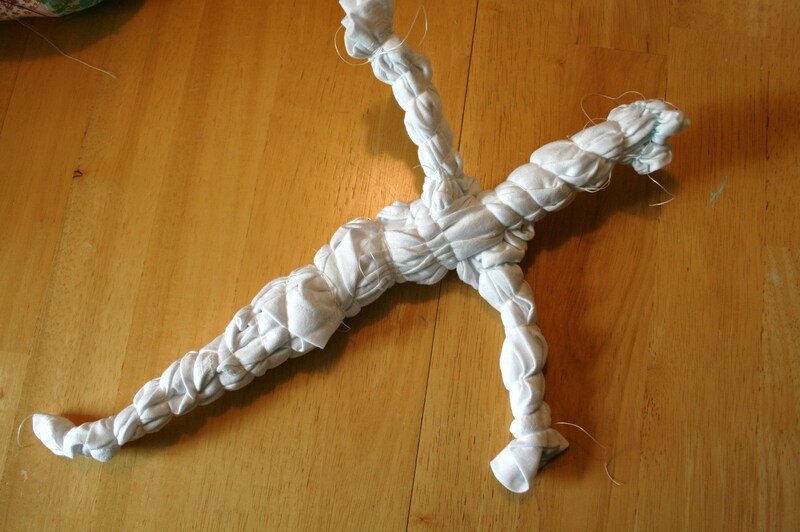 I should have twirled the shirt around and then used more rubber bands to secure it into a bundle. Then, most importantly, I should have used the squirt bottle method of applying dye to get a much richer color with more accuracy and more distinct tie dye effect. So, there you have it! 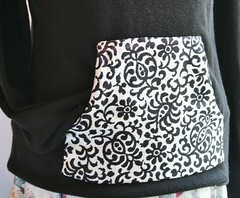 Learn from my Pinterest Phail! 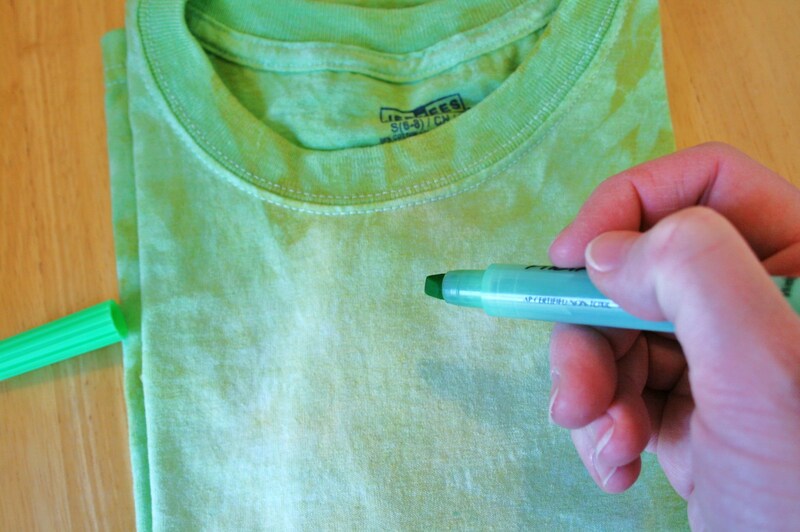 It turns out that highlighter washes right out of cloth, or at least this one did. So, maybe next year this shirt will fit a little better and maybe I can come up with a better shamrock design to celebrate the day. Did you guys make anything special for your or your kiddos to wear for St. Patty’s Day?